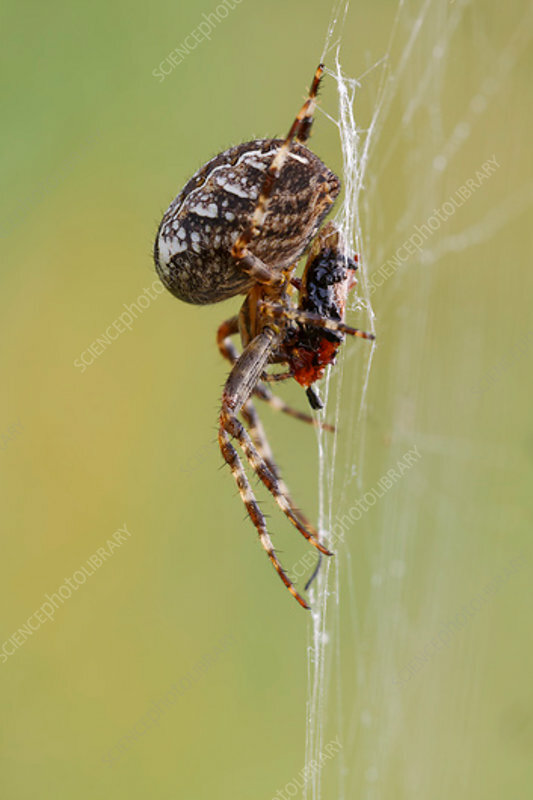 A side on view of garden spider (Araneus diadematus) in the centre of its web feeding. Often found in a wide variety of habitats including gardens in late summer and early autumn with abdomen colouring ranging from dark to very lightly marked individuals. Photographed in Somerset, UK, in September.